The giant African land snail get up to eight inches long. Problem: This snail is considered one of the most environmentally damaging in the world because it can eat over 500 different species of plants and even the stucco from homes. Not only do the snails damage tropical and subtropical agricultural systems, they have male and female reproductive organs and reproduce rapidly. 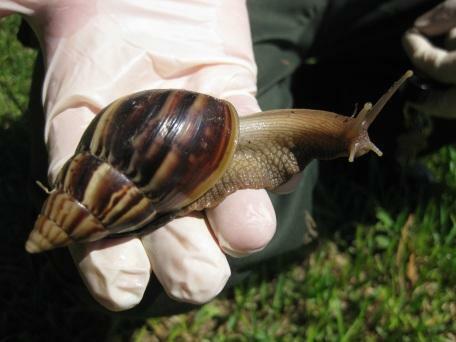 Giant African land snails can also carry rat lungworm which may cause meningitis in humans if people either handle live snails or eat improperly cooked snail meat. Solution: Nigerian-born chef Margaret Lanier co-owns Sheri's Restaurant in Opa-locka. Sheri's is an African restaurant serving mainly Nigerian dishes. For nine years, she's offered her country's delicacies -- from egusi stew to pounded yam. But her eyes light up when she hears about giant land snails. "If Americans realized how tasty they are, people could make a lot of money," she says. Giant land snail is frequently served as a finger food -- much like you'd eat boneless chicken wings at a bar. The meat is low in fat and cholesterol and is relatively easy to cook once it's been cleaned. DISCLAIMER: Improperly prepared snail meat can be dangerous. According to Lanier, washing the snails free of slime with the alum/salt/lemon juice mixture is the best way to prepare the meat for consumption. However, no means of preparation should be considered risk-free. Remove snails from shell and slice in half, removing the insides. Wash snails with alum in a mixture of salt and lemon juice. Place cleaned snails into a pot of lightly salted water. Bring to a boil and then simmer for an hour . In a separate pot, pan-fry onions, peppers and tomatoes, adding enough water to create a saucey stew. Season as you'd wish. Cook until snails are tender. 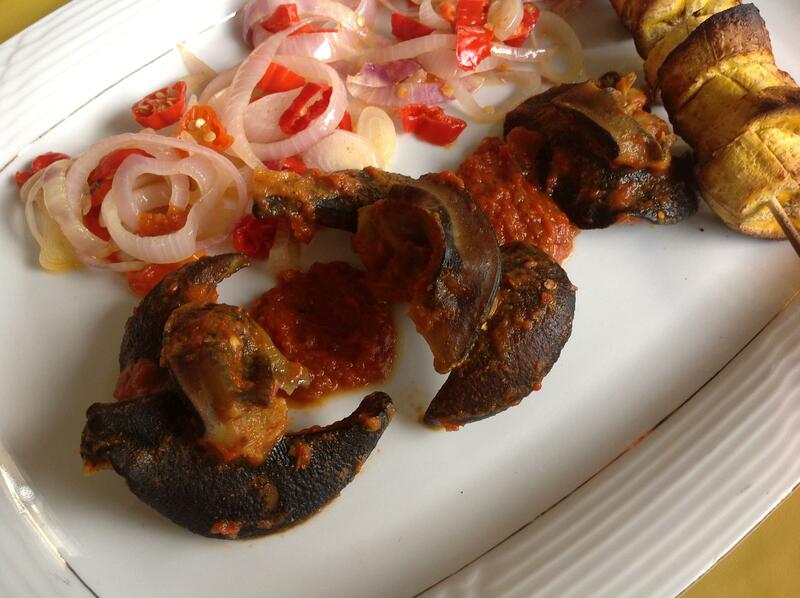 Serve with rice, or pounded yam.